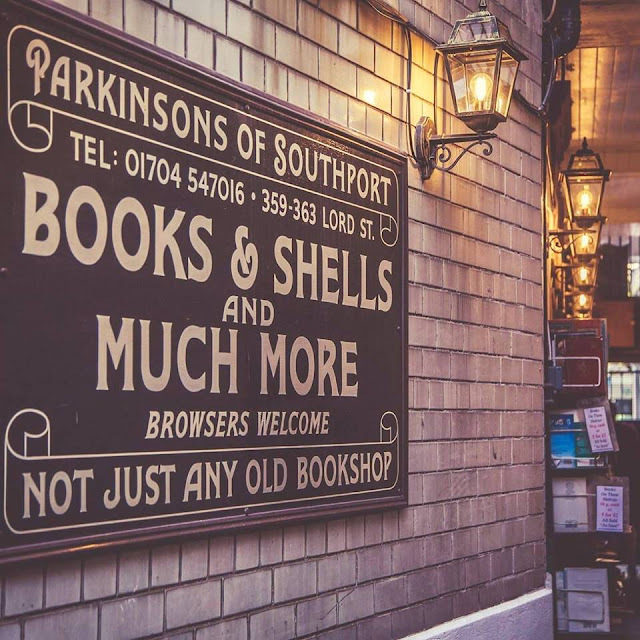 My friend and I aren't the biggest book boffins out there, but one of our favourite places to visit is a secret bookshop called Parkinson's Books. It's located at the end of an alleyway which is adorned with shells, handmade objects and books. The bookshop is a converted Victorian house with many floors stacked up with books, all the way up to the ceilings. The shop also sells minerals and antiques. It's great for a nosey around but the main reason why we like to visit this shop is a lot less deep and meaningful. The alleyway that leads to the main shop is adorned with books that are available to purchase under a '50p Each or 5 For £2' offer which we frequently take up. We do this to find handy and affordable books but more usually, we do this to purchase books with funny titles or books that would look good in a bookcase or as decor. It's great for finding books with reference to in-jokes you may have with friends, and a bonus if you find a book that may be of use. I came across quite a big book on HTML which would be handy for any internet-savvy individual, one I am contemplating buying myself. There was also a book that was a humorous take on Hitler's 'Mein Kampf' which would be great for anybody who enjoys political satire and history. I have bought and received countless books here with comical titles, one of which was titled 'Fanny'. It's also great for finding childhood books that rekindle old memories, which would also make great gifts for family members who share these memories with you. It just goes to show that you can find joy in places you least expect. Neither one of us are big readers and we know next to nothing about fossils and crystals but we still enjoy coming to this bookshop time after time.